So much more than just a way to tell time, a woman’s watch is also a statement and a piece of jewellery. So, while it must be functional, it also must be attractive and have a certain je ne sais quoi. Although finding such a watch is no mean feat, the task becomes simpler with the help of luxury styles. Featuring outstanding quality, craftsmanship and design, these watches are some of the top timepieces available and the ultimate way to adorn your wrist. The IWC Portofino Automatic Day & Night 37 watch is both functional and stylish. Meeting practicality needs, it features a 42-hour power reserve when fully wound, 24-hour secondary time display, and 3 bar water resistance. When it comes to aesthetics, a black alligator leather strap and 8-karat red gold case set with 66 diamonds make a polished statement. A white mother-of-pearl dial with 12 diamonds also adds to the overall elegant design. 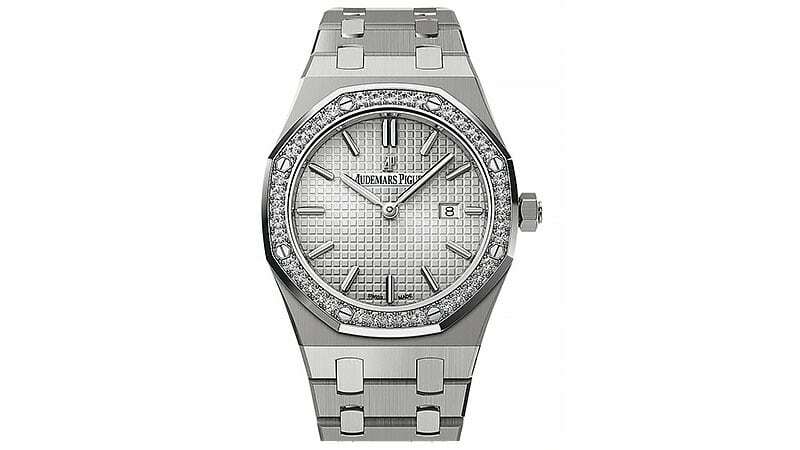 The Audemars Piguet Royal Oak Quartz features a sophisticated and stylish design. 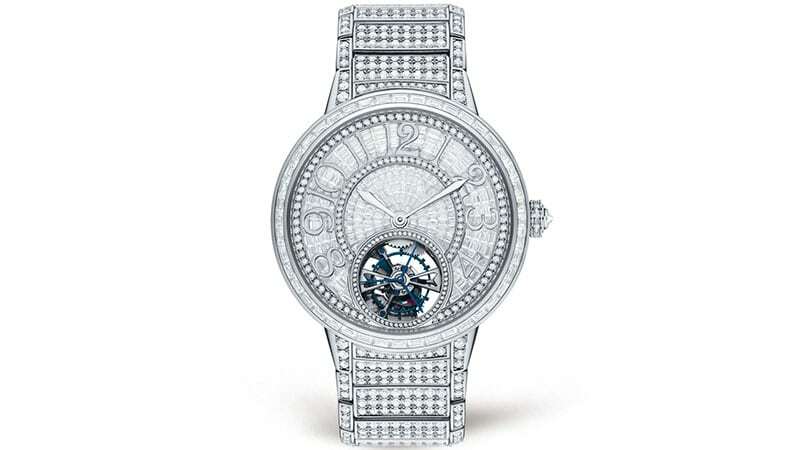 Its 33mm case is made from titanium and boasts a gorgeous, polished platinum bezel set with 40 brilliant-cut diamonds. The bracelet is also made of titanium and features polished 950 platinum links. This clean and sharp design allows for the smoked blue dial and its “Grande Tapisserie” pattern, white gold applied hour-markers and Royal Oak hands to take centre stage. The Traditionelle Small Model watch by Vacheron Constantin is just stunning. 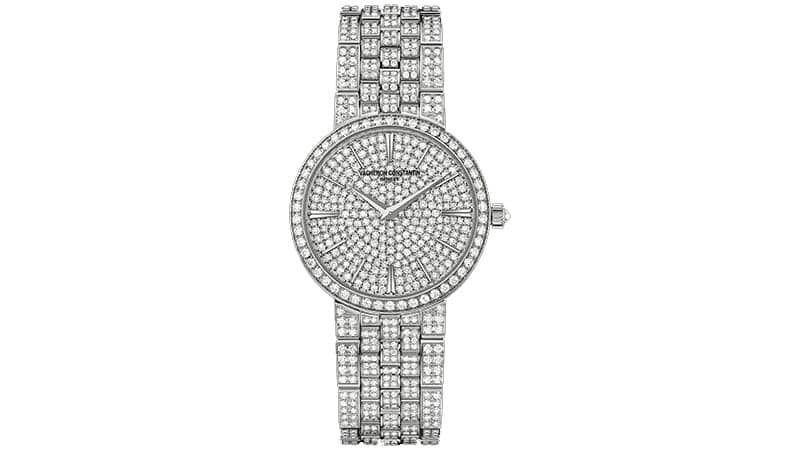 Set with a luxurious 1475 diamonds, this chic timepiece is as special as can be. While the diamonds are naturally the standout feature, the rest of this watch’s sophisticated design is also impressive. The case, which is 30mm in diameter and 5.98mm in thickness, is made of 18K white gold, as is the dial and strap. While the Patek Nautilus 7010/1R-011 features a glamorous design, its aesthetics are far from ostentatious. 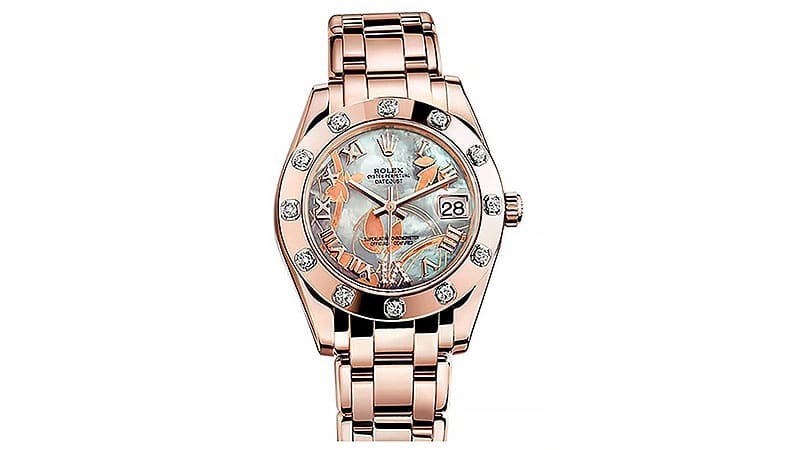 The stylish rose gold timepiece possesses a 32mm case set with 46 diamonds. Silvery opaline makes up the dial and the hour markers boast applied gold and a luminescent coating. When it comes to functionality, a quartz movement and 60m water resistance ensure correct time and durability for this watch. The Quantieme Retrograde by Blancpain is a self-winding watch with a moon-phase complication. Even if you’re not particularly interested in the moon and its phases, you’ll still find this timepiece a worthy and whimsical purchase. The case is made of 18ct red gold, and the bezel features one row of diamonds. 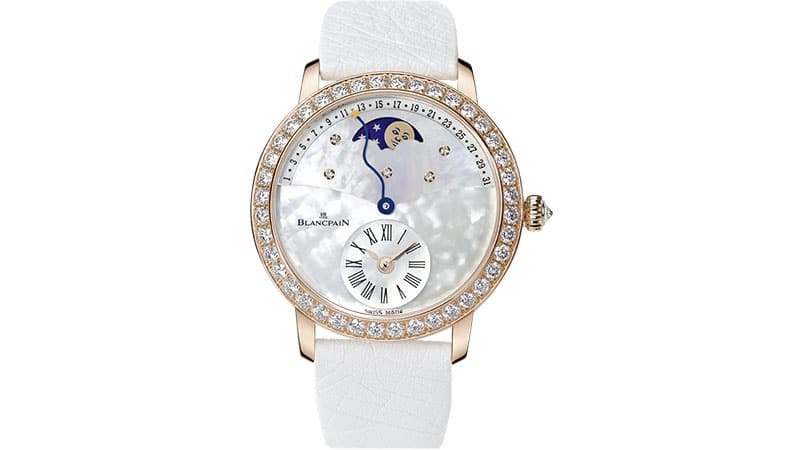 The dial is made of mother-of-pearl and it is also set with diamonds while Ostrich leather makes up the strap. The Chopard Imperiale watch is the ultimate in refined design. 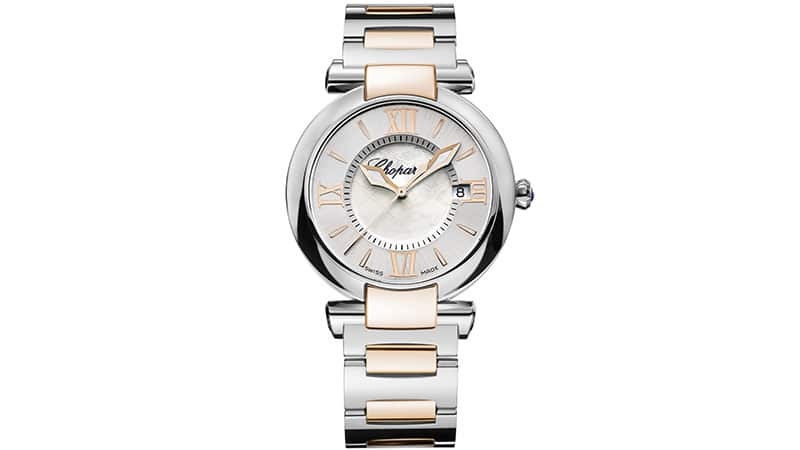 Its sophisticated style boasts an 18ct rose gold and stainless-steel bracelet as well as a chic 36mm case. The generously proportioned silver-toned dial is fitted with finely curved hands, inspired by the age of Empires, and Roman numeral markers. Completing this exquisite design is an amethyst set in the crown that evokes the imperial purple of the Byzantine court. The Pearlmaster is Rolex’s crowning jewellery watch. This model was created in patented, 18ct pink gold alloy and features a beautiful chocolate dial. 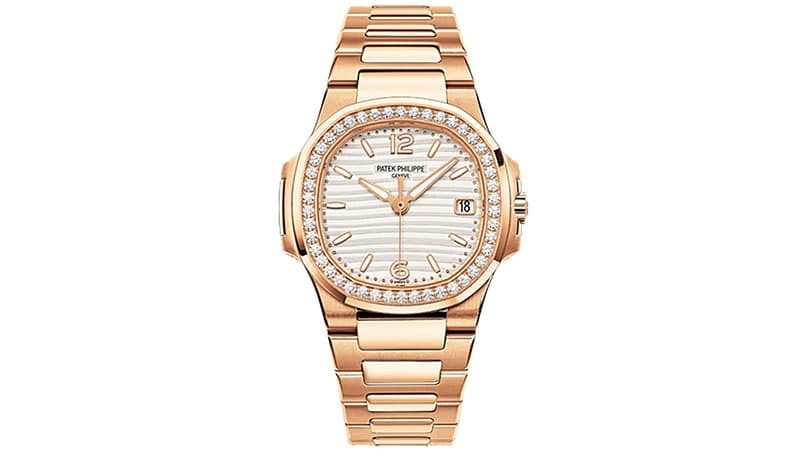 The unique face boasts hour markers fashioned from 18ct gold and a bezel set with diamonds. The luxury timepiece is also a certified Swiss chronometer and equipped with the Rolex calibre 2235, which is a self-winding, mechanical movement. Combining the art of fine watchmaking with high jewellery, the Rendez-Vous Tourbillon watch by Jaeger-LeCoultre is a dazzling spectacle. The well-sized design features a 5-bar water resistant case that is 39mm in diameter and 12.35mm thick. Made of white gold, it houses an automatic, self-winding movement and gem-set dial with Rhodium-plated numerals. Boasting an impressive 1209 diamonds all up, this tourbillon watch is as glamorous as it is precise. 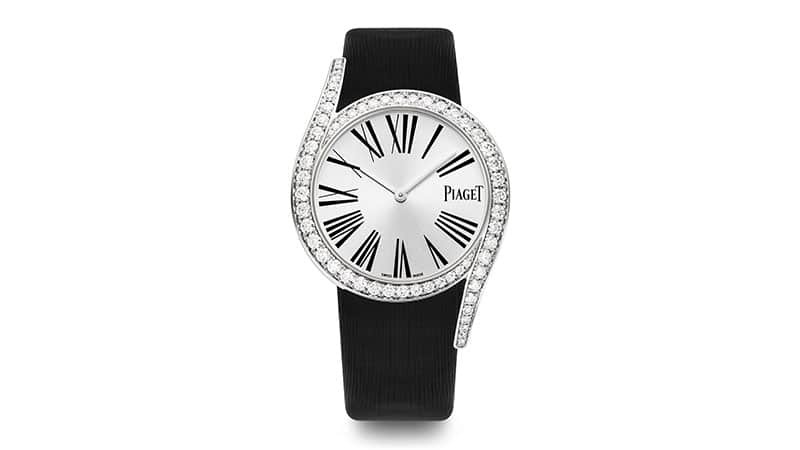 The Limelight Gala watch by Piaget is described as radiant, spirited and seductive. The design blends contemporary and classic styles to create an elegant and exciting timepiece. Two elongated horns adorn the 32mm white gold case, enhancing its shape with a line of graduated round diamonds on the bezel. Bold roman numerals and a satin strap are also essential features of this chic design. Cartier is a name synonymous with luxury jewellery and timepieces and, as such, naturally finds itself on this list of top watches. 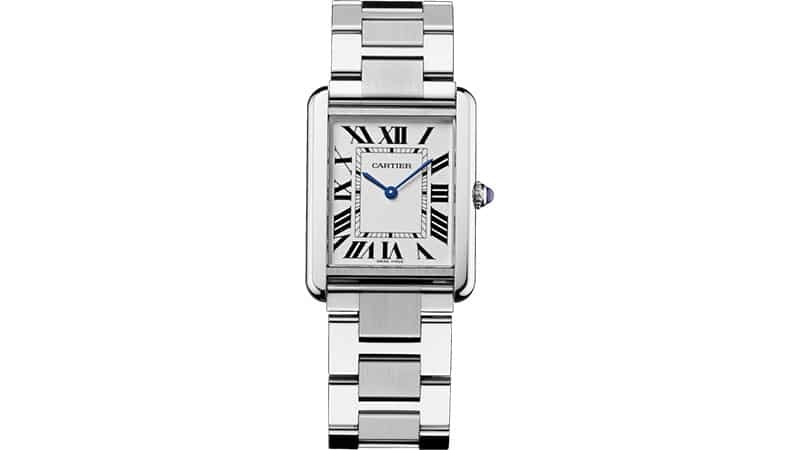 The Tank Solo is a well-known Cartier watch that’s favoured for its modest and modern design. 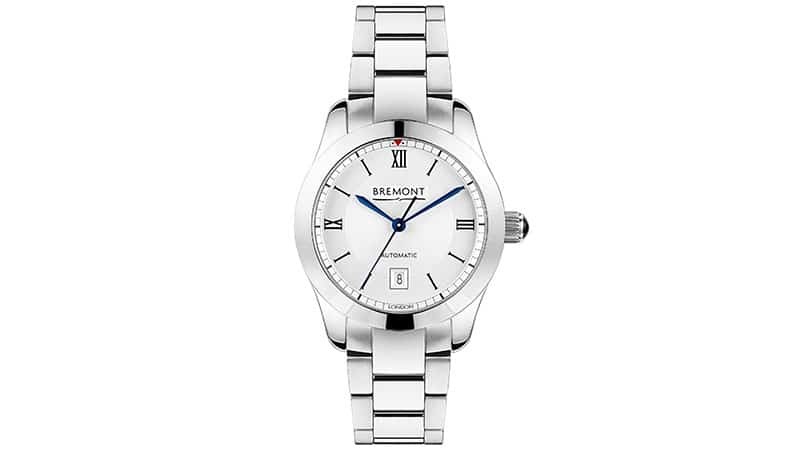 An instant classic, the watch features a rectangular face and slanted roman numerals. A steel case also houses sword-shaped hands in blued steel and connects to a steel bracelet. Breitling created the Galactic 29 for women who value both performance and design. Distinguished by a clean, crisp aesthetic, the watch boasts refined details and is available in either steel or 18K rose gold. The officially chronometer-certified SuperQuartz movement is ten times more precise than a standard quartz movement, keeping the Galactic 29 ticking along in perfect time. An impressive 100m water resistance is also a top feature for this timepiece. 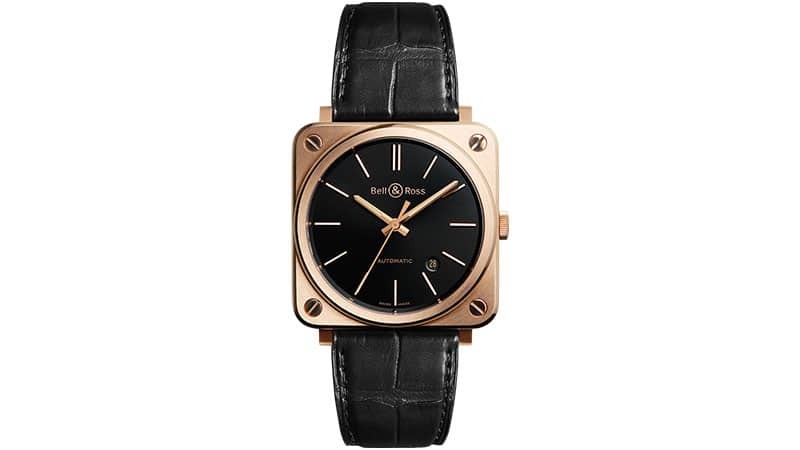 Unique style and excellent functionality combine in the Bell & Ross BR S Rose Gold watch. Featuring a sleek 39mm satin-finished 18ct rose gold case and black alligator strap, this timepiece is chic and contemporary. The black dial features gilt appliqué numerals and indices as well as gilt skeleton Superluminova-filled hour and minute hands. A useful date aperture is also included to make keeping track of your days simple. The Bremont SOLO-32-LC-WH-BR is a Swiss-made watch in a stylish, stainless steel design. 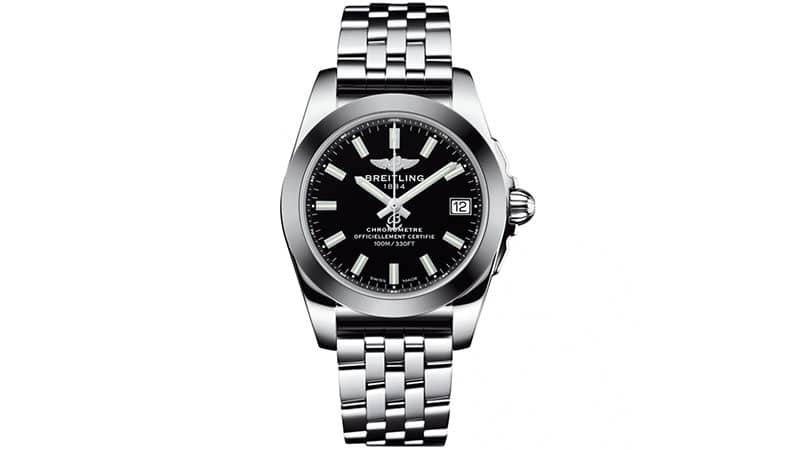 It features a clean, white dial that sits within a sleek, 32mm case with sapphire crystal glass. Housing an automatic movement, the case is also water resistant up to 50 metres to protect your timepiece during daily activities. Black Roman numerals, blue hour and minute hands and a clear date aperture, all also contribute to this sophisticated watch. 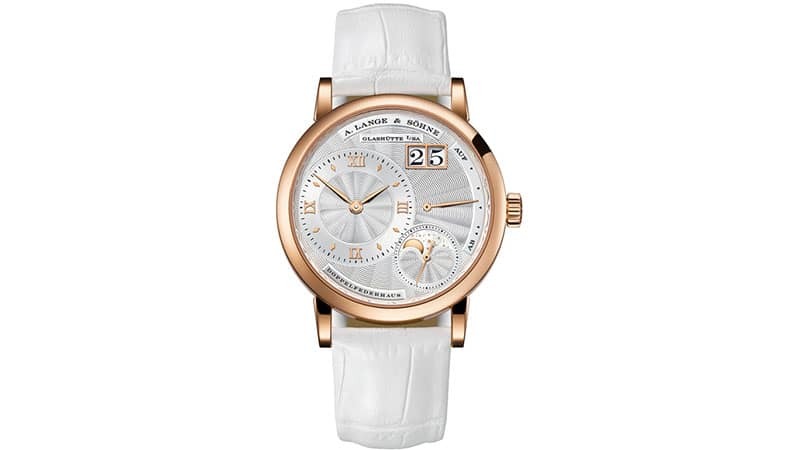 The Little Lange 1 Moon Phase watch by A.Lange & Söhne is 1.7mm smaller than the original. 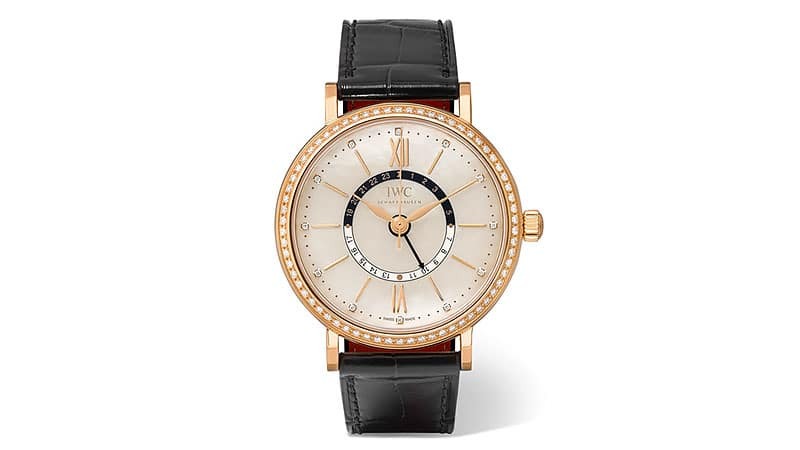 This newer version also presents itself with a guilloched, argenté-coloured dial within a 36.8-millimetre pink-gold case. The busy yet uncluttered face features a range of functions and displays including those for hours, minutes, small seconds with stop seconds, date, moon phase, and an up/down power-reserve indicator. While finding a stylish, luxury sports watch for women can sometimes be tricky, TAG Heuer has made it simple with the Aquaracer. Inspired by the aquatic world, the Aquaracer is water resistant to an incredible 300m, meaning that you can go ahead and get it wet in the pool or ocean. 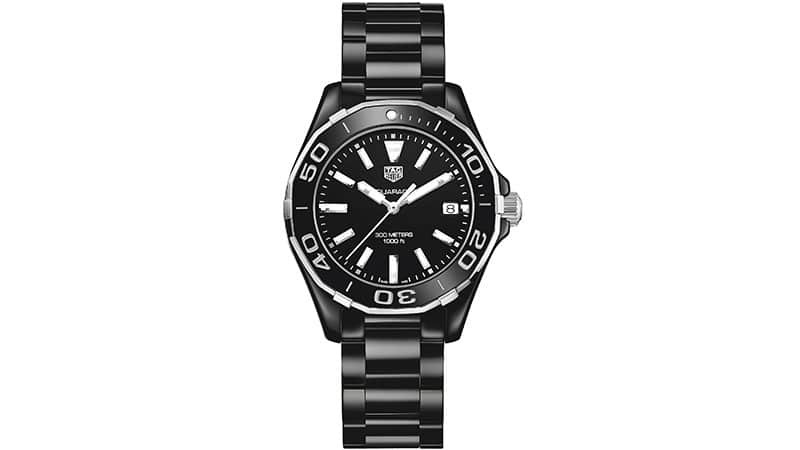 When it comes to appearance, this watch impresses yet again with a black ceramic bracelet and case, and a black dial.